The sun is a great reminder to use sunscreen, but when clouds, rain and snowflakes take over it might be tempting to skip it. We’re here to tell you: a broad-spectrum sunscreen is the non-negotiable for healthy skin. In fact, daily sunscreen use is the most important anti-aging treatment you can use! This means UVA rays will get into your skin even when you’re holed up in your office on a snow-filled day. In one study published in the Annals of Internal Medicine, researchers found that people who applied sunscreen every day saw a 24% decrease in skin aging—wrinkles, sagging, discoloration, to name a few—compared to those who didn’t. Also, it’s been shown that skin’s pigment cells, which cause dark spots, can even be stimulated by light from your indoor lamps, phone screens and computer monitors. A lot of us tend to get higher during the winter, whether it’s for skiing or snowboarding (or resting up in your family’s mountain cabin). But according to the Skin Cancer Foundation, with every thousand feet above sea level, UV radiation exposure goes up by up to 5%. If you’re hitting the slopes or just moving on up in altitude, make sure you take your sunscreen with you. Sunscreen doesn’t have the best rep—it’s traditionally known as the least texturally pleasant skincare product with its strong scent, thicker, greasier consistency and tendency to leave a white or gray residue. Plus, not everyone wants to layer on a sunscreen after toning and applying a serum and moisturizer. 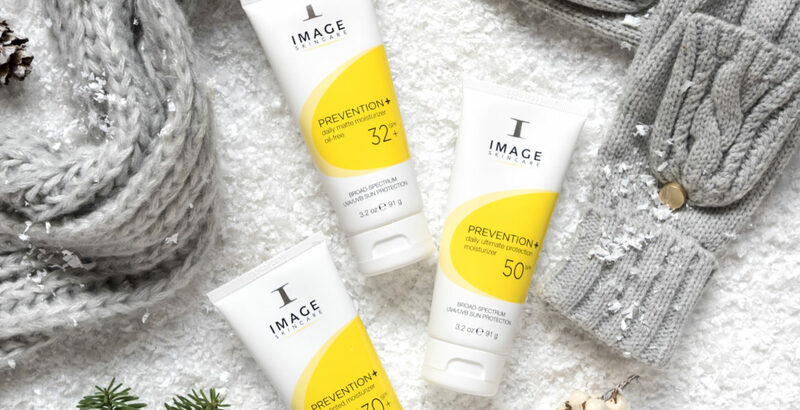 At IMAGE, we created a variety of broad-spectrum sunscreen you’ll look forward to wearing. Not only do our sunscreens protect you from both UVA and UVB rays, but they also act as moisturizers so you don’t need to add an extra layer on your skin! Simply apply after you cleanse, tone and pat in serum. This sheer, lightweight hydrator the features a unique form of zinc oxide that absorbs quickly into the skin, delivering broad-spectrum UVA/UVB protection, lasting hydration and antioxidant defense without a white cast or residue. This daily moisturizer subtly evens out skin tone and gives the skin a gorgeous, healthy glow with the benefits of SPF 30 sun protection. The sheer formula blends seamlessly and is boosted with a universal mineral tint. It provides a powerful blend of free radical-scavenging antioxidants to mitigate the effects of sun and environmental exposure.